SAN FRANCISCO (Herald de Paris) — Rock and Roll hall of fame San Franciscan Paul Kantner is the co-founder of the Jefferson Airplane and its spin-off band Jefferson Starship. The Airplane was formed by singer Marty Balin and Kantner eventually became the engine that powered the Jefferson Airplane. He piloted the group through the bands various incarnations eventually settling into the Jefferson Starship. Kantner is the pariah of the band; at times he was its only member. Paul is a songwriter, singer and plays rhythm guitar. Kantner has three children, sons Gareth and Alexander, and daughter China with former Airplane lead singer Grace Slick. He entered University of Santa Clara and San Jose State College, completing a total of three years before he dropped out to enter the music scene. Kanter was hoping to become a folk singer like Pete Seeger, to whom he gave kudos during his 1996 Rock and Roll Hall of Fame induction in 1996. During the summer of 1965 singer Marty Balin saw Kantner perform at a folk club in San Francisco and recruited him as part of the original Jefferson Airplane. When the group needed a guitarist, Kantner recommended Jorma Kaukonen, whom he knew from his San Jose State days. 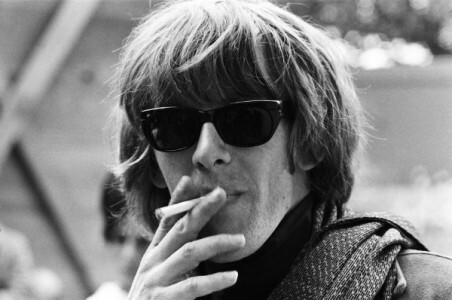 Kantner would be the only member to appear on all Jefferson Airplane/Starship albums bearing the Jefferson prefix. Kantner’s songwriting often featured whimsical or political lyrics with a science-fiction or fantasy theme, usually set to music that had a hard rock, almost martial sound. Despite its commercial success, the Airplane was plagued by intra-group fighting causing the band to begin splintering at the height of its success. During the transitional period of the early 1970s, as the Airplane started to disintegrate, Kantner recorded Blows Against The Empire, a concept album featuring an ad-hoc group of musicians whom he dubbed Jefferson Starship. This earliest edition of Jefferson Starship included members of Crosby, Stills, Nash & Young (David Crosby and Graham Nash) and members of the Grateful Dead (Jerry Garcia, Bill Kreutzmann, and Mickey Hart), as well as some of the other members of Jefferson Airplane (Grace Slick, Joey Covington, and Jack Cassidy). Herald de Paris Deputy Managing Editor Dr. Al Carlos Hernandez, another endangered species San Franciscan native, connected with Paul on a visceral level. Kantner may well be San Francisco’s best-known ’60s survivor. As the co-founder of Jefferson Airplane and the leader of the band’s various incarnations for decades after, Kantner has been part of almost every wave in the music and concert business. And now at age 70, still tours with his merry band of pranksters and musician. What a long strange trip it’s been and he remembers most of it. AC: I am told you are SF native. I’m from the Mission District and you are from? PK: I was born in the Sunset district and when it’s foggy; God can’t see what you’re doing. If I was born anywhere else I would have been executed by now. AC: Why? or Mission District translation, Por Que? PK: San Francisco is very tolerant to strange people and I am mildly strange. But there are a lot of people here stranger than me, so I get lost in the shuffle. You don’t get noticed much. As a “Summer of Love” touted “Psychedelic” band, the amount of stuff we got away with is incredible. It is a wonder we are still alive, and it’s a wonder that we got away with what we did. I like to think we are still getting away with it. PK: In North Beach nowadays I’m just Paul, perfectly content to be recognized with a casual nod. This is one of the great things about San Francisco — it’s a place where people aren’t comfortable with fame. If we really wanted to be famous, we would have had to move to New York or Los Angeles. We couldn’t have been from any other place. AC: Did you originally set out to be in a rock and roll band? What was the plan? PK: There was no grand plan. I was a folk artist and my hero was Pete Seeger. I had a friend, a great guitar player Jorma Kaukonen, who I knew from Santa Clara University and he viewed himself as a blues player. We called bassist friend Jack Casady. We, including Marty, recruited a few other musicians and out of that partnership Jefferson Airplane was formed. Everything we did was accidental – it just happened that simply. AC: What was the scene like at the time? PK: The music scene in San Francisco was exploding and musicians were flooding to The City to sample the action and the drugs. Folk bands started to find a new electric sound. Everybody tuned in and turned on. The ’60s were in full swing and the ‘Summer of Love’ was just around the corner. It was not as much the ‘Summer of Love’ I remember but rather the scene before the summer of love. The scene was very special nobody bothered it. It descended from there. AC: How hard was it for you to transition from Catholic military to school and then to all of that? PK: Coming out of Catholic boarding school was a complete transition into an alternate quantum universe and was well deserved, I like to think. I took well advantage of it and it took advantage of me as well. Such an adventure. AC: What was the catalyst? How was all of this culture transference triggered? AC: So San Francisco was the epicenter of all this? PK: There was nothing going on like this anywhere else and there was so much happening that you couldn’t keep up with it. At the time, we had the luxury of establishing our own universe and drugs were a big part of it. In one year I had discovered drugs and Fender twin reverb amplifiers. Record deals poured in and it was the creative – it was not the business side that had the juice. By the time Grace Slick joined the band for its second album, the sublime masterpiece “Surrealistic Pillow,” the Airplane had hits, money and all the assorted craziness that went with it. AC: When did things begin to wind down for the band some? PK: By the time we played Woodstock several years later in ‘69 the in-fighting among the band members had already taken its toll. Variations of the band now included members of the Grateful Dead and Crosby, Stills and Nash. The band changed so many times over the years that it ultimately morphed into Jefferson Starship. I found that amalgamation crassly commercial and ultimately divorced myself of it, which somehow triggered a series of lawsuits. AC: So the Starship ran aground? PK: The whole Starship thing was a debacle. The tune “We Built This City” still irks me. PK: I still write songs, tour with the latest version of Jefferson Starship and get around pretty well except for my chronically bad back. Long gone are the days when bands could pursue artistry without resulting hits. The only thing slick about the band was Grace and she was a volcanic handful. They weren’t anti-war or anti-establishment – they just were, spilling out a series of love songs and psychedelic marches with three-part harmonies. There are some things, like the ’60s, that you just can’t make up. AC: Tell us about your box set that chronicles some of that work. 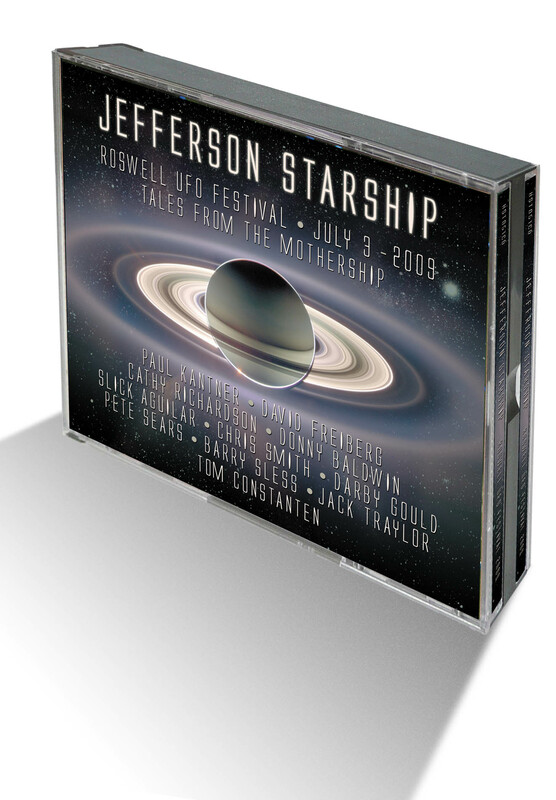 PK: The Jefferson Starship is releasing an exclusive live 4-CD set ‘Tales From The Mothership.’ It is the soundtrack of a concert we did in Roswell, New Mexico in 2009. “Roswell UFO Parade & Festival Hosts Jefferson Starship Sci-Fi Extravaganza,” read the headlines for the annual July 3rd event that took place in Roswell, New Mexico in 2009. The Jefferson Starship band performed, which included original Grateful Dead keyboardist Tom Constanten. We performed a one-of-a-kind sci-fi concert at Pearson Auditorium in Roswell in honor of the town’s famed annual parade. They gave us the honor of being the parade’s ‘Grand Martians’ that year and we rode atop a special float especially built for us. The entire concert was filmed and recorded In addition to some of the hits such as “White Rabbit” and “Somebody To Love” we included two tunes that I had written “Volunteers” and “Wooden Ships.” There was a special program of science fiction themed compositions and select recordings were performed – some for the first time ever! Now we are happy to share this with worldwide Jefferson Starship fans across the globe. UK’s Gonzo Multimedia is releasing the entire concert in an extravagant 4-CD box set. AC: Who is in this latest incarnation of the group? PK: Well, along with and David Frieberg, the Jefferson Starship also features lead singer Cathy Richardson (who played Janis Joplin on Broadway in ‘Love, Janis’) and longtime band members Slick Aguilar, Chris Smith and Donny Baldwin. In addition to Grateful Dead’s Tom Constanten, special guests include Pete Sears (the band’s former bass & keyboard player on all their hits), Barry Sless (guitar & pedal steel with Phil Lesh & Friends), former lead vocalist Darby Gould and legendary folk artist Jack Taylor, who is one of my early musical influences. AC: Who helped you put this all together? PK: Renegade Productions, the band’s frequent collaborator (‘Jefferson’s Tree of Liberty’ was the first album ever recorded in their new studio at the time) staged the production and provided custom sound, lighting and image projection. Karl Anderson of Global Recording Artists filmed the event, dubbed ‘Tales From The Mothership,’ a joint production of The Roswell UFO Festival Committee and Jefferson Starship. “It’s not a documentary, not a ‘rockumentary’, not a ‘mockumentary’…it’s a ‘Spockumentary,” Gaiman quips. Along with the entire concert from July 3, 2009, the 4-CD set also includes rehearsals from 6/27/2009 and the band’s sound check before the show. AC: How can people get a copy? The Paul Kantner Science Fiction Rock & Roll Motion Picture Show! June 26, 2012 – London, UK – “Roswell UFO Parade & Festival Hosts Jefferson Starship Sci-Fi Extravaganza” read the headlines for the annual July 3rd event that took place in Roswell, New Mexico in 2009. Jefferson Airplane founder Paul Kantner and his legendary band Jefferson Starship and special guests, which included original Grateful Dead keyboardist Tom Constanten, performed a one-of-a-kind sci-fi concert at Pearson Auditorium in Roswell in honor of the town’s famed annual parade. The group was also bestowed the honor of being the parade’s ‘Grand Martians’ that year and rode atop a special float especially built for them. The entire concert was filmed and recorded, and in addition to such iconic hits as “White Rabbit”, “Somebody To Love”, “Volunteers”, “Wooden Ships” recorded by its forebear Jefferson Airplane (the last two penned by Kantner), a special programme of science fiction themed compositions and select recordings were performed, some for the first time ever! Now, much to the excitement of Jefferson Starship fans across the globe UK’s Gonzo MultiMedia is releasing the the entire concert in an extravagant 4-CD box set. In 1971 the band’s first album (Paul Kantner’s first solo album actually), ‘Blows Against The Empire’ was also the first rock music recording ever nominated for literary science fiction’s prestigious Hugo Award. In addition to Kantner, ‘Blows’ featured a ‘Who’s Who’ of Bay Area musicians including David Freiberg from Quicksilver Messenger Service. Freiberg and Kantner, later launched the ongoing Jefferson Starship, eventually writing the hit “Jane.” David rejoined the band full time in 2005. In 1991 the late great rock impresario Bill Graham signed on to produce ‘Blows’ from a ‘scripted stage play concept’ co-written bu Paul Kantner and his (then) new manager Michael Gaiman, a lifelong fan. Sadly, Bill was killed in a helicopter crash and the idea was shelved until Sony Pictures pitched an ‘option’ for a ‘Blows’ motion picture in 1996. “That was a big year for sci-fi,” recalls Gaiman. Stemming from a shared interest in 1950s science fiction film and literature, Paul and Michael have worked together for nearly 25 years. In 2008 they co-produced (along with David Freiberg), ‘Jefferson’s Tree of Liberty,’ Jefferson Starship’s first studio recording in a decade. The album garnered stellar reviews worldwide. In 2009 Jefferson Starship headlined ‘The Heroes of Woodstock’, the authorized touring commemorative of the 1969 Woodstock Music & Arts Festival. “On July 3rd, 2009, thanks to the Roswell UFO Festival Committee and Cool 94.9 Radio, we got to scratch that itch and assuage a long time desire to stage a mosh of rock music and science fiction,” says Gaiman. Along with Paul Kantner and David Frieberg, Jefferson Starship also features lead singer Cathy Richardson (who played Janis Joplin on Broadway in ‘Love, Janis’) and longtime band members Slick Aguilar, Chris Smith and Donny Baldwin. In addition to Grateful Dead’s Tom Constanten, special guests include Pete Sears (the band’s former bass & keyboard player on all their hits), Barry Sless (guitar & pedal steel with Phil Lesh & Friends), former lead vocalist Darby Gould and legendary folk artist Jack Taylor, one of Paul Kantner’s early musical influences. Renegade Productions, the band’s frequent collaborator (‘Jefferson’s Tree of Liberty’ was the first album ever recorded in their new studio at the time) staged the production and provided custom sound, lighting and image projection. Karl Anderson of Global Recording Artists filmed the event dubbed ‘Tales From The Mothership,’ a joint production of The Roswell UFO Festival Committee and Jefferson Starship. “It’s not a documentary, not a ‘rockumentary’, not a ‘mockumentary’…it’s a ‘Spockumentary,” Gaiman quips. Along with the entire concert from July 3, 2009, the 4-CD set also includes rehearsals from 6/27/2009 and the band’s soundcheck before the show.